A couple weeks ago, the gang at XDA-Devs unleashed a rooting method for Verizon’s version of the Galaxy Note II which comes with a locked bootloader. The locked disposition does not allow users to remove Verizon installed applications (also known as bloat-ware). 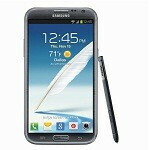 Samsung now has on display on its website a 16GB Galaxy Note II Developer Edition. For those that are wondering, yes, this device does have all the Verizon branding that has earned scorn from many. It is not unusual for manufacturers offer “developer editions” of Android devices which have easily unlockable bootloaders. However, those devices are usually available at about the time as they are released through their relative carriers. With the root method available, this device may not seem relevant, especially since you can get a subsidized device from the carrier. You cannot purchase this developer device quite yet, but if you are the type of person that does not want to deal with third-party hacks, and you do not worry about paying full price for gear, this Galaxy Note II will be right up your alley.